SCOTT, THOMAS, office holder, judge, and politician; baptized 18 Oct. 1746 in the parish of Kingoldrum, Scotland, son of the Reverend Thomas Scott; d. 29 July 1824 in York (Toronto), Upper Canada. Aspiring to a position in the British gentry, Thomas Scott first sought to follow in his father’s footsteps by training for the ministry of the established Church of Scotland. When he failed to obtain a posting, he became a tutor in the house of Sir John Riddell in the south of Scotland; in later years he became the Riddells’ benefactor. From an early age he also assumed responsibility for the support of his younger brother, William. These commitments were to intensify his career-long quest for financial security. In 1788 he journeyed south to Lincoln’s Inn in London to study law and was called to the bar in 1793. Unable to establish himself comfortably in Britain, in 1800 he accepted the appointment of attorney general of Upper Canada, which came with a promise of eventual preferment for the chief justiceship. He was already in his 55th year. 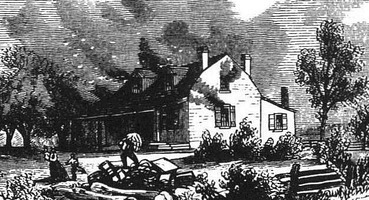 In Upper Canada Scott sought to make himself indispensable to Lieutenant Governor Peter Hunter*, who had supported his appointment. 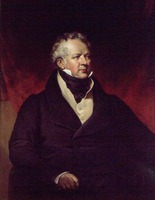 Besides attending to his legal duties, Scott plunged into an exhausting round of political activities, becoming second in influence only to Henry Allcock*, the chief justice after 1802. Both men supported Hunter’s policy of rushing the preparation of land patents to remove the confusion regarding land title in the province. The program increased their income from fees, but antagonized many settlers struggling to meet the costs of establishing new farms. The strain of Scott’s duties probably contributed to the ill health which plagued his later career. 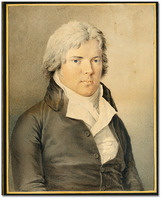 In 1805 the attorney general was appointed to the Executive Council and reached the height of his political influence. With Hunter dead and a figurehead – Alexander Grant* – in control of the government, Scott and John McGill, the inspector general, blocked the aspirations of rival officials and briefly became the colony’s most powerful politicians. Scott was now expected to exercise political skills which he did not possess in abundance. Opposition to the government’s land policy was growing in the assemblet acting on Scott’s advice, Grant attempted to usurp financial appropriations which were rightly within the control of the elected body, thus furnishing an opening to the opposition. 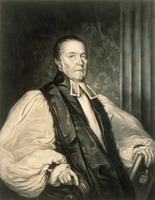 The situation was exacerbated by the rivalry of Scott and Robert Thorpe*, a judge of the Court of King’s Bench, for the position of chief justice, now vacant with the transfer of Allcock to Lower Canada. Thorpe sought to attract attention by joining the critics of the administration, but this move only led to his dismissal. In 1806 Scott was made a member of the Legislative Council and finally received the appointment of chief justice. Almost immediately he attempted to minimize further responsibilities. He refused to be considered for promotion to chief justice of Lower Canada on the grounds that “at my time of life, it is too arduous an undertaking for me to attempt.” Although expected to serve as the lieutenant governor’s major adviser, he declined further involvement in provincial politics. Describing Scott’s contributions on matters of state as “water gruel,” the new head of government, Francis Gore*, turned to William Dummer Powell, another judge of the King’s Bench, as his chief adviser. In 1811 Scott applied for a pension to enable him to retire in dignity. Unsuccessful in obtaining it, he was forced to remain the leading judicial officer of the province during its years of greatest turmoil. The War of 1812 marked a crisis of authority for the ruling gentry. They doubted the loyalty of the colony’s largely American-born population. 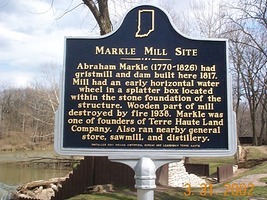 In vain the leading officials advocated the selective suspension of civil liberties and the imposition of martial law; they were blocked until 1814 by members of the assembly such as Abraham Markle who were reluctant to antagonize their constituents. As a distinguished resident of York, Scott played a modest role in encouraging order, but was easily outshone by more energetic men such as Powell and the Reverend John Strachan*. Scott filled a similar function during the trials of 1814 which were intended to reassert the authority of the state. The strategy of the government was to manipulate the provisions of the law to strike a balance of terror and mercy. Consequently, while the courts convicted 15 persons, including Jacob Overholser*, of treason, only 8 were executed, the sentences of the remainder being commuted to banishment. Scott supported these decisions, but the initiative came from others, especially Attorney General John Beverley Robinson*. In 1816 the chief justice finally received the pension he needed for retirement. He spent his last years quietly in York where he died in 1824. Ever loyal to his personal commitments, he left an estate sufficient to support his brother in Scotland for the rest of his life. In his public career, however, Scott had been less successful. While his judicial opinions had been competent, he showed little liking for the wider responsibilities expected of legal officers in this period. His failings were partly the product of old age and uncertain health. Yet, his record was similar to that of many administrators who were drawn to this remote colony during its first generations of existence. AO, RG 22, ser.125, 1–2; ser.134, 1–2; ser.155. MTL, William Allan papers, Thomas Scott papers; D. W. Smith papers, B8, Scott to Smith, 20 Oct. 1803, 10 March 1804. PAC, MG 11, [CO 42] Q, 298, pt.i: 2, 25; 300: 226; 303: 155; 308, pt.i: 68; 311, pt.i: 57–59; 312, pt.i: 34, 151, 153; 313, pt.ii: 518; 316: 281; 318, pt.i: 133, 137; 319: 106–7; 320: 191–94; MG 24, A6, civil letter-book, 42; RG 1, E1, 47–50; L1, 22: 665, 803 ; 23: 278; 24: 69, 285, 308; 26: 185; L3, 452: S5/55, 93; 453: S7/40; 455: S9/82; 464A: S15/88; 490: S leases/49; RG 5, A1: 8326–28, 8729–33, 8805–7. “Political state of U.C.,” PAC Report, 1892. Town of York, 1793–1815 (Firth); 1815–34 (Firth). Read, Lives of the judges. Cowdell Gates, Land policies of U.C. W. R. Riddell, The bar and the courts of the province of Upper Canada or Ontario (Toronto, 1928); The legal profession in Upper Canada in its early periods (Toronto, 1916). J. B. Walton, “An end to all order: a study of Upper Canadian Conservative response to opposition, 1805–1810” (ma thesis, Queen’s Univ., Kingston, Ont., 1977). W. N. T. Wylie, “Instruments of commerce and authority: the civil courts in Upper Canada, 1789–1812,” Essays in the history of Canadian law, ed. D. H. Flaherty (2v., [Toronto], 1981–83), 2: 3–48. W. R. Riddell, “Thomas Scott, the second attorney-general of Upper Canada,” OH, 20 (1923): 126–44. William N. T. Wylie, “SCOTT, THOMAS (d. 1824),” in Dictionary of Canadian Biography, vol. 6, University of Toronto/Université Laval, 2003–, accessed April 24, 2019, http://www.biographi.ca/en/bio/scott_thomas_1824_6E.html.